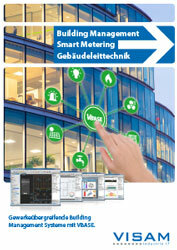 Building Management System. Interdisciplinary BMS with VBASE. A consistent platform for technical building equipment. Say ciao to isolated applications! Say goodbye to the flood of "single-purpose" automation solutions, which always have only one purpose in mind. VBASE combines all trades in one system, under one user interface. 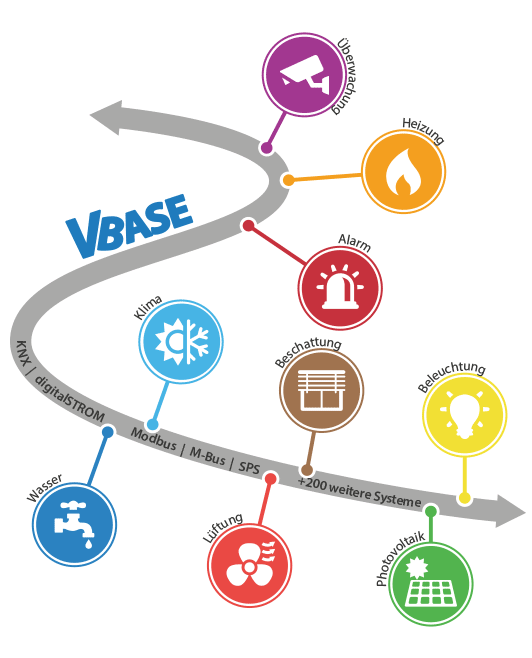 As a multifunctional and interdisciplinary Building Management System (BMS), VBASE automates a wide range of trades such as lighting, heating, air conditioning, shading, alarm systems, etc. Since VBASE is compatible with some 200 different bus, remote and protocol systems, it is not limited to a single system or manufacturer. When all trades interact perfectly. 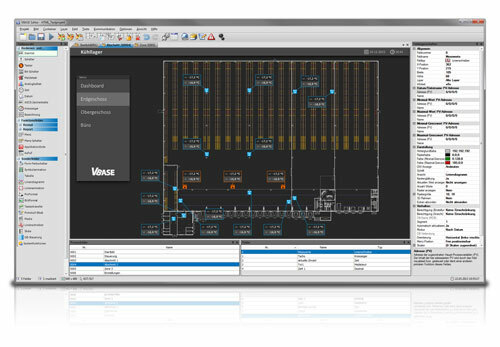 In concrete terms, this means that all system components of a building can be merged into VBASE. For example, KNX-based lighting can be automated depending on the alarm system connected via OPC. If the alarm system is activated, VBASE switches off the light and at the same time it manages the heating, which is controlled by a PLC. For data exchange between different trades, manufacturer systems and interfaces, VBASE takes over the gateway functionality and transfers the data between them. For example, process variables can also be exchanged between KNX, digitalSTROM and a PLC. Request our latest VBASE price list. Mobile building controll by smartphone. In addition to the local visualization, VBASE also offers the possibility to access the Building Management System on the go. 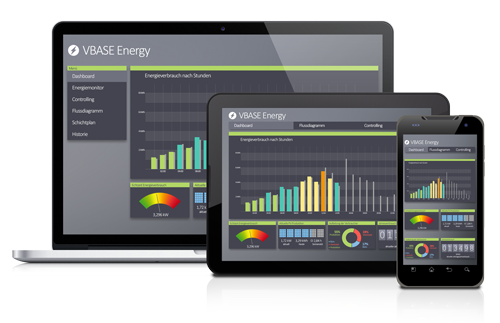 For this purpose, VBASE provides an HTML5 web interface for visualization and control via notebook, tablet PC or smartphone. All trades can also be bundled in one system. The necessary HTML pages are automatically generated by VBASE. Advantages of a cross-plant BMS with VBASE: Integration of all trades (light, heating / air conditioning, alarm, ventilation, shading, water, PV, etc.) in one system. Data exchange between systems of different manufacturers, protocols and interfaces. A display and user interface for all trades. Smart automation by linking various trades (for example, alarm switches off light and heating). Reduced energy and resource consumption. Reduced operating and maintenance costs through TPM. Secure remote access with Smartphone or Tablet PC to all trades and system components. Integration of all trades (light, heating / air conditioning, alarm, ventilation, shading, water, PV, etc.) in one system. Data exchange between systems of different manufacturers, protocols and interfaces. One user interface for all trades. Smart automation by linking various trades (for example, alarm switches off light and heating). Reduced energy and resource consumption. Reduced operating and maintenance costs through predictive maintenance. Secure remote access with Smartphone or Tablet PC to all trades and system components.